A gorgeous scent inspired by the ancient Balsamon perfume of Jerusalem enjoyed by the Queen of Sheba when she visited the Holy Land, Essence of Jerusalem is a wonderful smelling men's parfum. As mentioned in the Song of Songs, "Perfumed with Myrrh and Frankincense" (Song of Songs, 3:6), men have been enjoying the beautiful scents of perfumes from the Holy Land for centuries. The ancient art of perfume making, a unique biblical craft, used the spices and plants of the land to smell wonderful and use ceremoniously and now you can have the same biblical scents of Jerusalem for your own use. 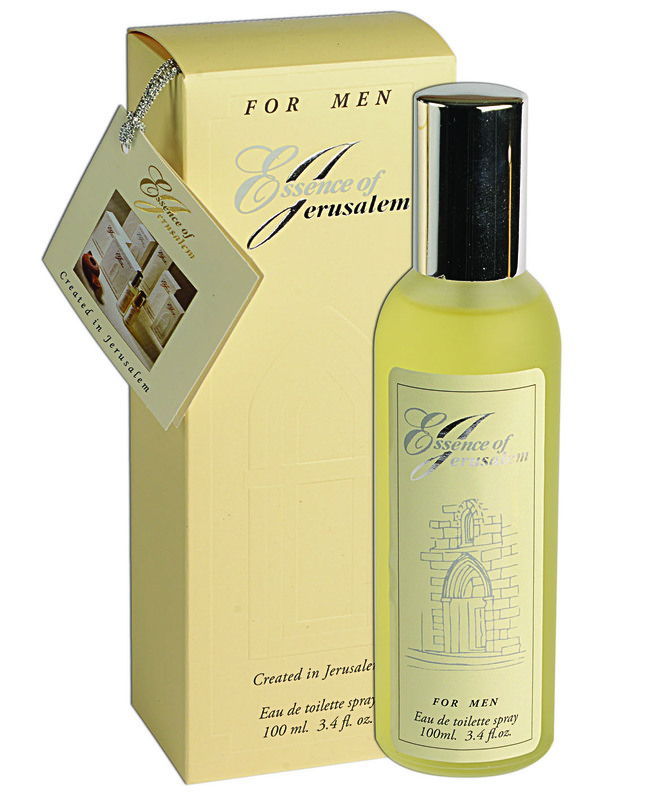 Made with indigenous Holy Land plants, this Balsamon (persimmon shoots) inspired Israeli perfume is a men's perfume that captures the essence of Jerusalem of old. SD Alcohol 40. Essence of Jerusalem fragrance,(Allergens:Limonene, Linalool, Coumarin, Alpha-Isomethyl ionone, Eugenol, Citronellol, Citral, Benzyl Salicylate, Geraniol, Isoeugenol.Water.